The VMB-HW Series includes a programmable, high efficiency motor that redefines comfort and energy savings. The VMB-HW motor automatically adjusts its torque and speed to maintain a pre-programmed level of constant airflow over a wide range of external static pressures. This variable speed technology offers better indoor air quality, more precise humidity control, quieter operation,consistent indoor air temperature, and lower utility bills. High Efficiency -At full load conditions the VMB-HW motor is 20% more efficient than an induction motor and at constant fan speed it consumes only 60-80 watts of power compared to 400 watts for a standard induction motor. Quiet Operation - The versatile VMB-HW motor quietly “ramps up” when the unit is turned on and “ramps down” when the thermostat is satisfied, eliminating the annoying sounds of changing airflow. • Better indoor air quality (further improved with the addition of high efficiency filter) - This allows the air to be filtered without excessive drafts and without sacrificing efficiency. • Better humidity control - The VMB-HW is designed to extract much more moisture from the air than a conventional system by slowing the airflow over the cooling coil. The result is an improved summer comfort level at higher indoor temperatures. Allows a standard heat pump thermostat to control the heating/cooling operation of CX34. This adapter is designed for users who use Chiltrix CX34 with a standard heat pump thermostat. There is no other application for this device. Users with radiant or fan coil units will use their associated controls for that part of the system. This device allows the CX34 to switch operation between cooling and heating based on a standard thermostat. It is not a thermostat or controller. It is an interface adapter used to connect a standard heat pump thermostat to a CX34 or to a Psychrologix controller. The only function provided is that of switching between heating and cooling. 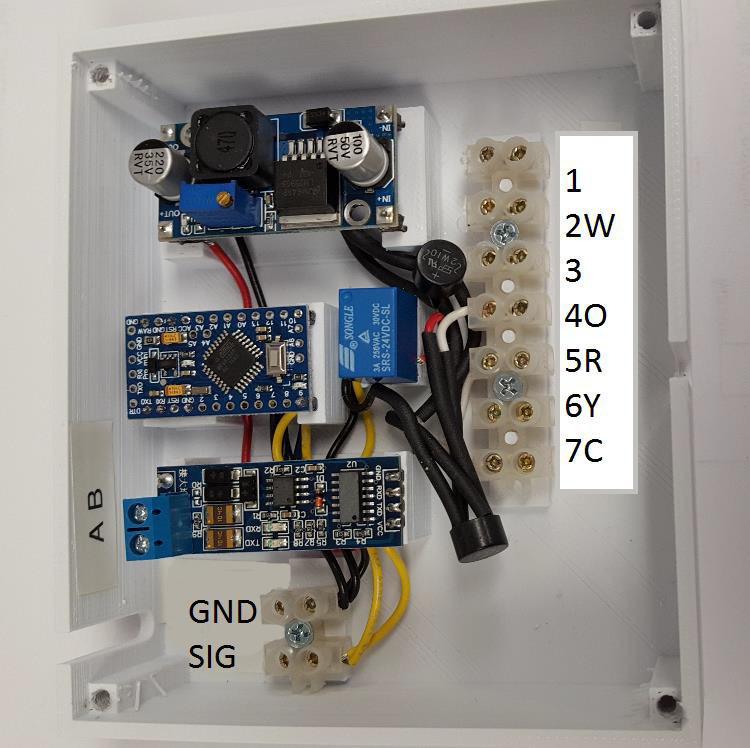 The fan coil interface box is designed to connect a standard heat pump thermostat directly, or via a ducted fan coil unit control, to a Chiltrix CX34 outdoor unit(s) (up to three) either directly via Modbus or through the Chiltrix system’s Psychrologix controller. 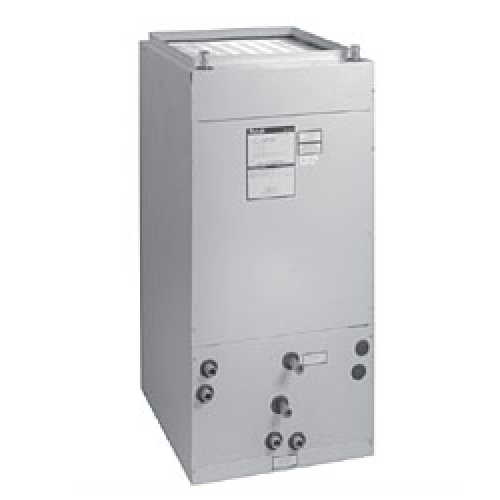 This allows the thermostats “cooling” and “heating” function switch to have control over the Heating and Cooling functions of CX34 when a generic Air Handler unit is installed in the system. This device will not turn the CX34 on or off, only switch modes between heating and cooling.